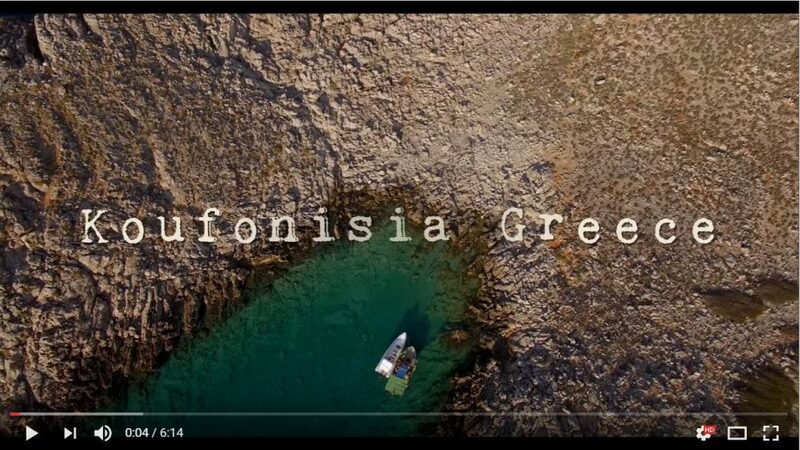 Koufonisia island(s) in Greece are actually two islands: The Upper Koufonisi (which is called “Pano Koufonisi” in Greek) and the Lower Koufonisi (which is called “Kato Koufonisi” in Greek). The lower Koufonisi is not inhabited, so everyone goes to the Pano Koufonisi, which is usually referred to just as Koufonissi or Koufonisia. 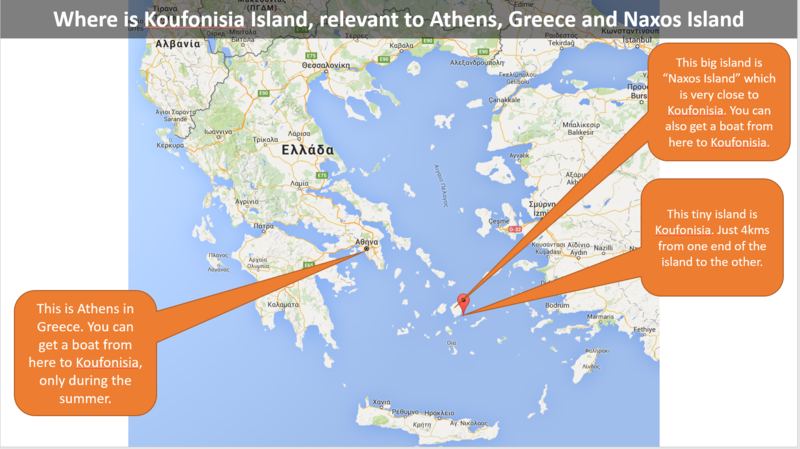 I hope this makes it a little bit more clear regarding the naming conventions used in Greece, regarding the two islands of Koufonisia. Koufonisia are very close to Naxos and to Amorgos islands and there are other small islands close to them such as “Iraklia”, “Shinousa”, “Donousa”. Below you can find two maps with the relevant descriptions, to make things even simpler for you. 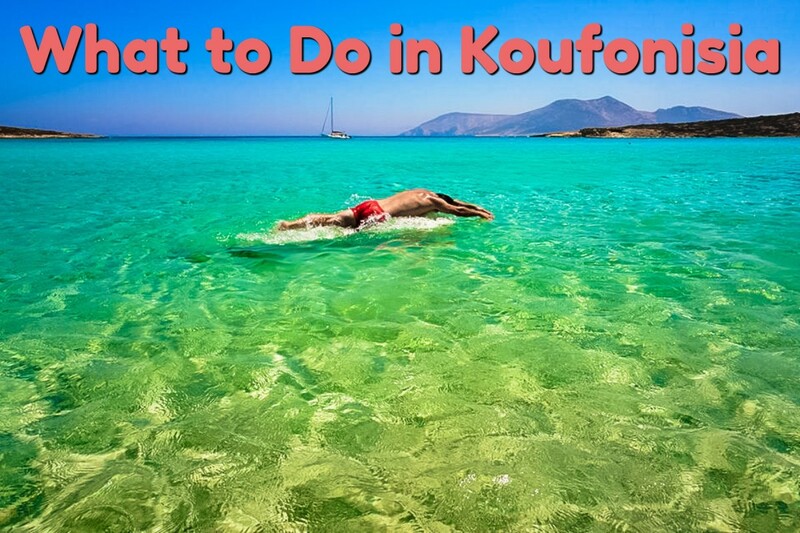 Here is a guide with the best things to do in Koufonisia, including top reaches, best places to stay and the top restaurants in the island, together with many useful tips. 1.For the beaches: Amazing blue waters, white sand and beautiful rocks. You can spend all day on the beach without getting bored, even though there is no beach bar or deckchairs. 2. It’s off-the beaten path: This is not a mainstream island, with all-inclusive hotels and the classical type of “cheap tourism” that exists in some parts of the Greek islands, where people go to get drunk. Even though the island has become a “hipsters” island for the locals, it’s not yet that well known to tourists, who usually know Santorini, Mykonos, Corfu, Rhodes and Creta island in Greece. 3. For the romance: If you are a couple you will have a great time in this little, romantic island. You can easily make long walks under the moon, next to the sea, without cars passing by..or swim at night anywhere you want..you will be sitting on the rocks of the sea to drink your mohito in the evening and enjoy your love..
1.For the Parties and Nightlife: This is not a party island. No clubs, no crazy evening life e.g. compared to Mykonos or Santorini or other Greek islands. 2. 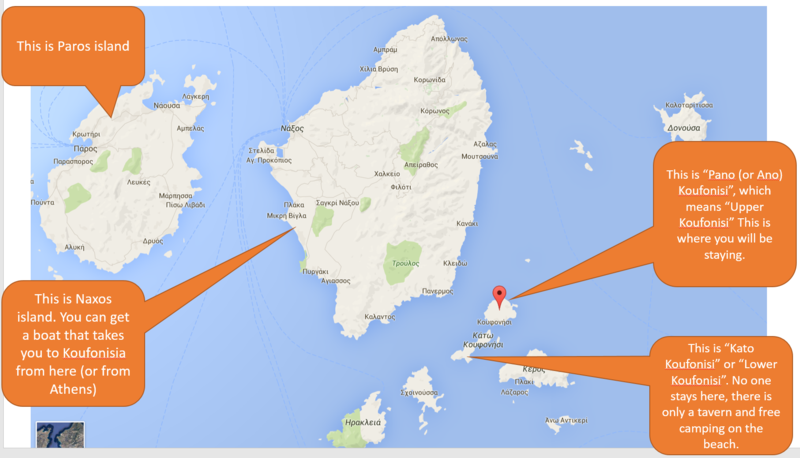 For Scuba Diving: No scuba diving school exists in the island. You can do some snorkeling but don’t expect to dive here. 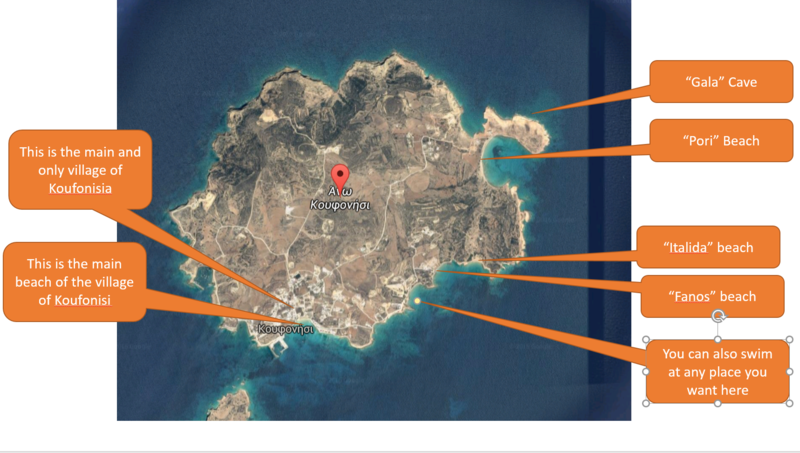 There is no airport on Koufonisia and you can get to it only by boat. The first way to get to Koufonisia by boat, is by taking the ferry from Piraeus port in Athens. It takes around 5 hours for the fast boat (the hellenic seaways highspeed 4), which costs 59 euros for one person for one way. If you get the slower boats, you will pay 36 euros and it will take you 7.5 hours. The best site to book your tickets is http://travel.viva.gr/en/ferries/ . 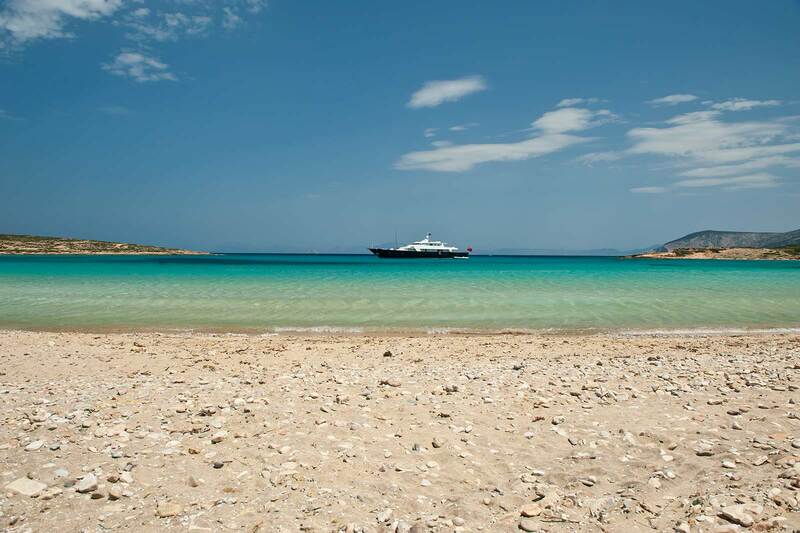 The second way to get to Koufonisia by boat is via Naxos island, which is close to it. 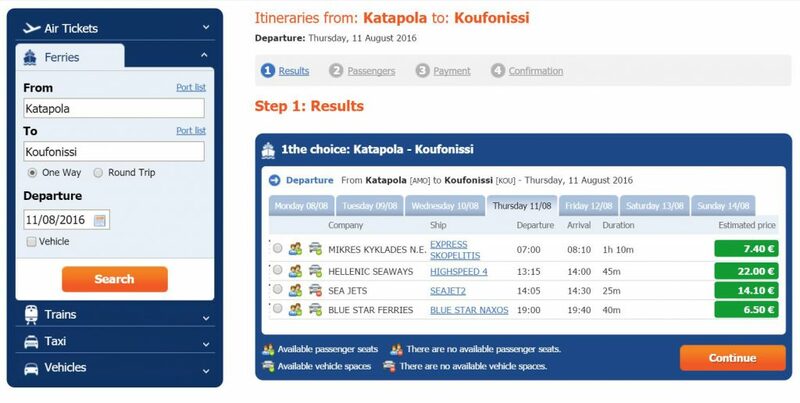 So, if you cannot find a ticket from Piraeus port to Koufonisia (they are in high demand, so if you try to book in the last minute you will most probably not find a ticket), you can choose to go to Naxos island and get a boat from there to Koufonisia. You can take the fast boat, which is only 50 minutes, for a pricey 23.5 euros or the slower ones that will take 2 hours and cost only 8 euros. Actually, only hipsters were going to Koufonisia before 2000. The island started to become more mainstream in the past 10 years, basically due to many rich and famous people start to visiting it and enjoying its amazing beaches and its adventurous style. Still, there is no organized beach in the island, so you will not find any deckchairs, set of umbrellas or beach bars anywhere. These are prohibited by the authorities in order to preserve the natural style of the island. As there were not many places to stay in Koufonissi and the construction of new houses is not very fast, the prices are quite high and you should plan to make a reservation at least 2 months before going there on July or August. Expect to pay around 80 – 100 euros per night for a decent double room (without breakfast included). According to my opinion, the quality of the rooms that you get in Koufonisia do not worth the high price that the locals ask for. The same type or rooms cost around 50-60 euros in the same period of the summer in the Naxos island, which is next to Koufonisia. However, you know the laws of economics, demand vs offer..In Koufonisia there is a lot of demand from tourists and very few houses, so the prices go unjustifiably high. Still, I never regretted going to this amazing island, even if I knew that I was spending more than I should for lodging. 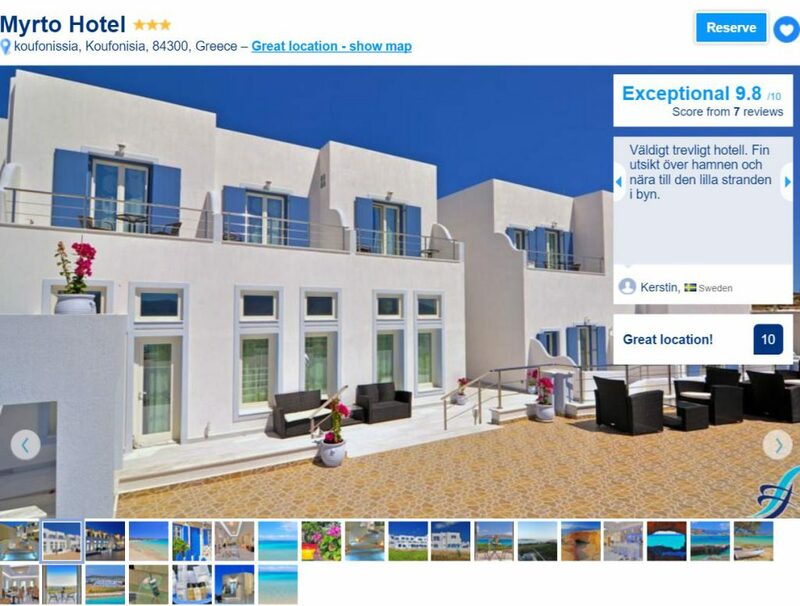 There is no 4 or 5 star hotel in the island, so we recommend that you look into what’s existing at Booking.com in order to select a decent place to stay. There is only one village in the whole island, so all the lodgings are 1-2kms around the village. That’s easy, at least you cannot select a wrong village to stay at..
#2 Myrto Hotel: You can have a look at it here. This is the most recently opened hotel in Koufonisia and it is probably the best that exists on the island. I prefer it over the Hotel Koufonisia. Still, I believe that prices for both Hotel Koufonisia and Myrto Hotel, are overpriced for the level of rooms you get but ..this is Koufonisia. #3 Other hotels/rent a room: You can have a look here. 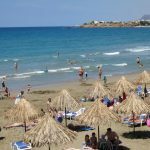 Which are the Best Beaches in Koufonisia? The Main Village’s Beach: You can reach it on foot, it is inside the village and most probably you can go there in 4-5 minutes walking from anywhere you are staying. Very clear water but not the “most blue waters” in the island. 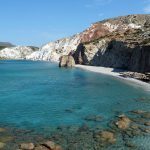 Fanos beach: It is 1.5kms from the village of Koufonisi and most people walk towards Fanos beach. There is a cafe and a restaurant there but no organized set of umbrellas. Foinikas Beach. This is next to Fanos beach and it’s more or less the same. The good thing is that there is a great tavern here, called the “Foinikas tavern”, so you can have a great lunch..
Italida beach: Probably the most famous beach on the island. It is small, with white sand and perfectly blue waters. No shadow at all (there is only one small tree on the beach). You can reach it on foot from the main village – probably a 15-20minutes walk which is sometimes unpleasant if the sun is too strong. Get some hats and sun protection. Pisina cave. This is actually not a beach. Its a naturally curved “Piscine” or swimming pool and you can find it after the Italida beach, if you continue to walk along the seashore. Pori beach. This is around 3.5kms from the main village and there is a hill that you have to go up and down to reach it. You should go there by bus, even though some people use a bicycle. It’s not the easiest thing to bike your way to the beach if you are not in a great shape.If you want to walk from the main village to Pori beach, you should expect to do it in 40 minutes under the hot sun. Very long beach and there is a restaurant close to it. When you reach Pori beach, you have to ask where is the “Gala” cave. It’s an amazing place that is hidden behind the hill of Pori beach and you will be swimming in a perfectly blue-waters cave. You can also go to Pori beach with a boat from the main village or by the bus (2 euros ticket). 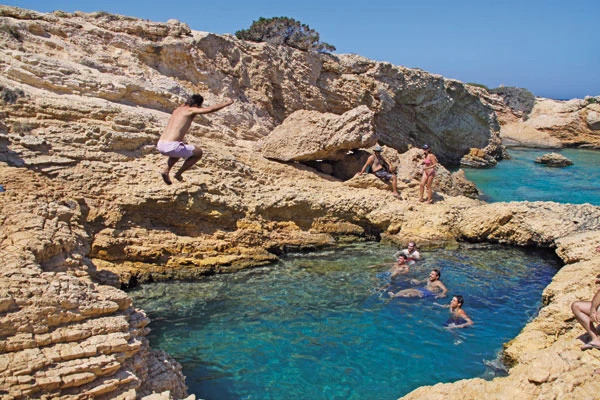 Pisina Cave – A naturally curved swimming pool.. The food in Koufonisia is great. 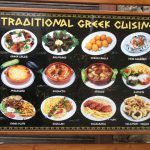 There are around 20 places to eat in all the island and amongst them there around 5-6 great tavernas, serving traditional greek food and fish. My favorite one is “Captain Nikolas”, which is very romantic, on the beach, with a great selection of local food. Expect to pay around 25 euros per person for a decent meal, except if you opt in for the lobster-spaghetti specialty which costs usually around 80 euros for two persons. This is a great place to go in the evening for your dinner and not so much for your lunch, as the sun is strong (and you should be on the beach during the day!). The island has 35 boats that go fishing every day, so there is a lot of fresh fish on the island and Captain Nikolas has his own boat, so you can trust that the fish is fresh there (not the same case for octopus or calamari, so make sure you ask, as the price is different if you buy “fresh calamari” versus “frozen calamari”). When I am on the beach and I am hungry in the noon, I prefer to eat on the “Foinikas” restaurant on Foinikas Tavern, which is on the beach of Foinikas, next to Fanos beach. It’s a nice solution to make sure that you spend as much time as possible on the beach, without starving. This is also a budget solution – expect to pay 15 euros for a decent lunch. You can get some small fish (sardines/etc), calamari, octopus, or greek traditionally cooked dishes with meat or rice or spaghetti. I have also tried the restaurant at Pori beach, which is a little bit more expensive from the other ones – the quality is ok but I still prefer to eat on the other two restaurants. Finally, I am a big fan of Souvlaki and I was happy to discover the “Strofi” souvlaki restaurant, on the main street of the village, where you will get some excellent pita gyros, pita souvlaki with 2.5 euros per piece. Usually there is a big line waiting to be served here, as this you order the pita Souvlaki or pita Gyros from a small window(!) and you can eat on the street, sitting on small tables and doing people watching..
Below you can see the window of “Strofi Souvlaki” from which you are ordering your amazing pitas with Gyros or Souvlaki and then the line of people that usually waits to get served.. The most romantic restaurant on the island is the “Karnagio” restaurant, which is actually opposite from Captain Nikolas restaurant. It has very small tables that are on a small paved road next to the sea and it is the perfect place to go during the evening. Below you can see a photo of it – it doesn’t look like much during the day but trust me, when the night falls, you will be seeing the lighted windmill, the stars, the sea and thank me for suggesting this place. The food is also nice (a little bit more expensive than Captain Nikolas though, as this is a smaller restaurant). Above you can see Carnagio restaurant during the day. a. You go to the main street of the village early enough (e.g. at around 21:00) and you get a table on the road, so that you can spot people walking by. Everyone is drinking ‘Rakomelo” which is like Vodka with honey. It’s not Vodka, it’s Raki, which is a greek white spirit made from grapes and when it is boiled with honey it tastes really sweet and nice. Don’t be afraid to try it – most probably you will like it. b. You go to Soroko bar, which is on the beach of the main village. You actually sit on the rocks and you can have a mohito or caipirinia cocktail there. Absolutely romantic and sometimes you can get involved in a rock party as it plays some more upbeat music in the late evening. 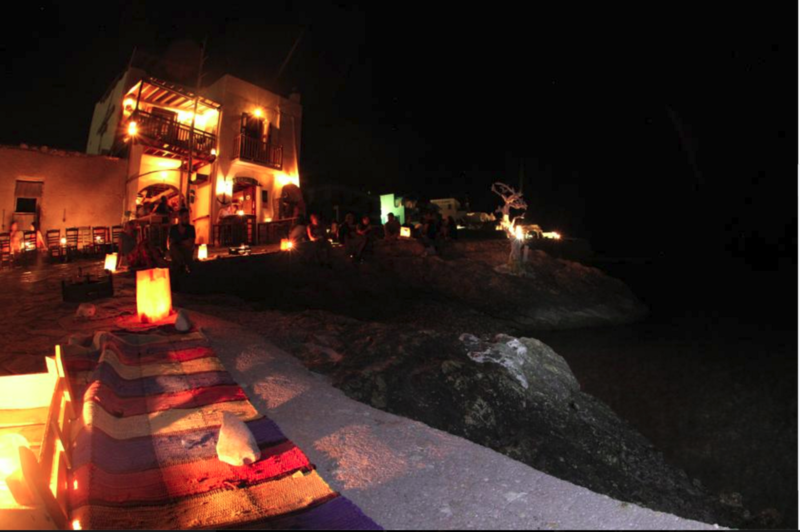 Candles on the rocks, the sea next to you, nice music, nice people…Unforgettable place. Below you can have a look at Sorokos bar in the evening. -You don’t need a car in Koufonisia. The island is very small and you can walk to most places. -Every afternoon, there is a boat called “Skopelitis” which connects Naxos and Amorgos island with Koufonisia. The boat creates small “Tsunamis” on the beaches of the island, so don’t put your umbrella next to the water..the beaches are getting smaller and full of water (on the sand) for a couple of hours every day. -You can rent a bike to go to the beaches of the island. -Remember, that there are no organized beaches on the island. Bring an umbrella with you and make it a strong one. -If you are planning to go on July or August, book at least 2 months ahead. Otherwise, you will NOT find anything available! -On the last Saturday of June, the island organizes the “Festival of the Fisherman”. There is a lot of free wine and fish “mezes” and local folk dances. Are there stones in the main beach? Pori Beach can see a lot in the picture? Thanx! Hi Aury. No, there are not stones in the main beach of Koufonisi or at Pori beach. They are both sandy beaches. 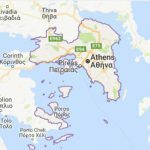 Would this be a good place for a day trip from Naxos? 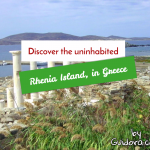 Yes, it is an excellent island for a day trip from Naxos island. You can find daily boat tours from Naxos to Koufonisi island, at the main town of Naxos.